« The Results Are In!!! We are now entering my absolute most favorite time of the year – the Holiday Season. The time from Halloween through New Year’s tickles my fancy like no other time of year can. I love the peppy music, the feel-good movies, the cookies, the traditions, the ornament-laden tree, crafting the ornaments, the cards, wrapping gifts, the gatherings, and that warm and fuzzy feeling that seems to take over most people at this time of year. I don’t love the commercialism, the consumerism, the malls, the advertisements, the materialism, the “buy-buy-buy!” mentality, or the charity scams that always seem to emerge around the holidays. That is why, in my own simple way, I like to stick it to The Man by taking the DIY route. I believe that the best way for me to show love and appreciation is with my own two hands, my hard work, and my good ol’ fashioned sweaty efforts; therefore, I like to go the homemade route for the holidays. I also think that unique, creative, non-commercialized acts are the ones that form our family traditions. Which leads me to today’s post, the first of what will be many holiday-themed posts … and what is more traditional than fruitcake? This fruitcake is now a family tradition at the Outpost. It was originally a Martha Stewart recipe that inspired me. 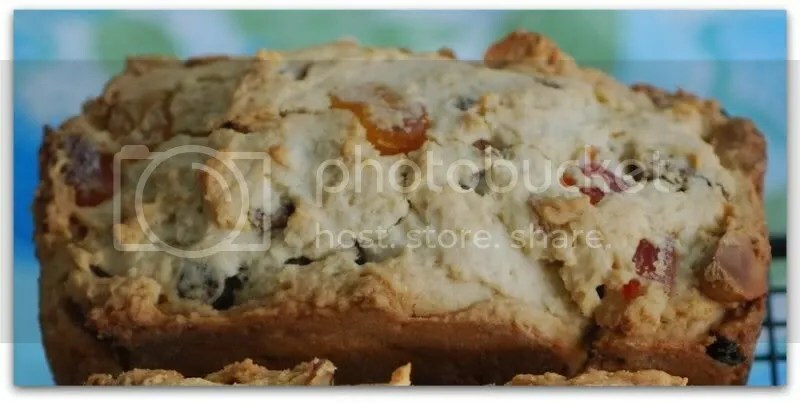 I adapted her recipe to suit my tastes, but I stayed true to her belief that fruitcake should not be filled with those oddly colored candied fruits. I use lots of dried fruits and nuts in mine, ones that bring a distinctly tropical flair to this traditional holiday treat. You, however, can adapt the nuts and dried fruits to suit your corner of the world. I made a large batch of loaves two weekends ago. I like to give them as gifts, and I like to allow them plenty of time to develop their flavors. 1. Preheat oven to 300F. Oil sides of pan, line bottom with parchment paper and brush with oil. 2. Combine fruits and buts in a bowl and set aside. 3. Sift flours, baking powder, and salt into another bowl and set aside. 4. Cream together the Earth Balance and the sugars in a third on medium speed until fluffy, about 3 minutes. Add the soy yogurt a little at a time until incorporated (the mixture will look a little goopy at this point – that’s ok!). Mix in the vanilla and the rum. 5. Slowly add in the flour mixture, mix until just combined. Be sure to scrape down the sides of the bowl. The mixture will be good and thick. 6. 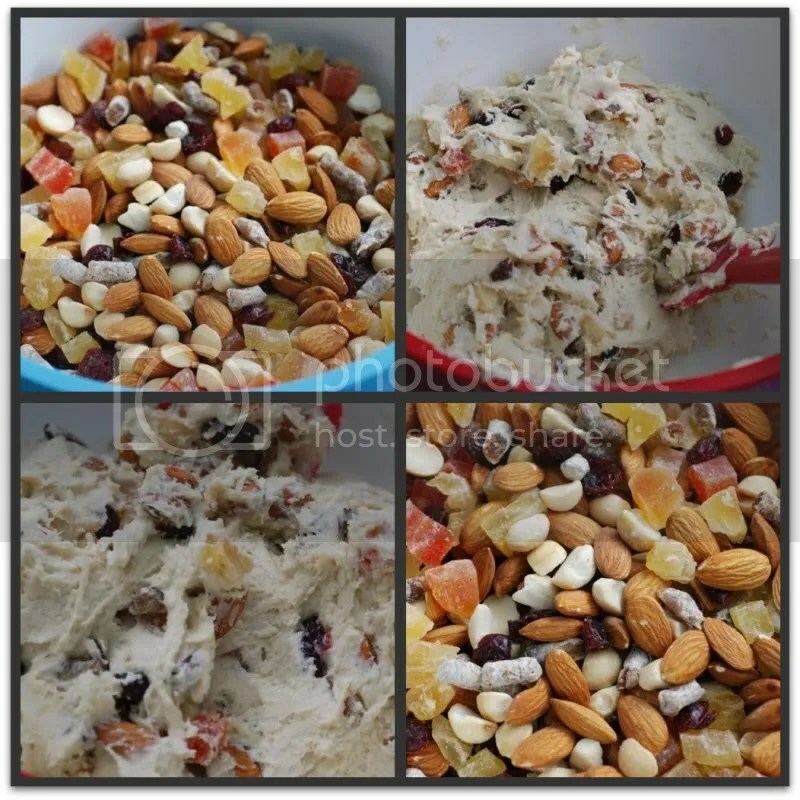 Fold in the nuts and fruits into the batter. Fold in the coconut. Pour batter into prepared pan and smooth the top. 7. Bake the cake until golden on top and an inserted toothpick comes out clean. My large loaves bake for about an hour and a half, my mini loaves bake for about an hour. Be sure to cover the top with foil if the cake is browning too quickly. 8. Cool the cake on a wire rack. Remove the cake from the pan and discard the parchment. 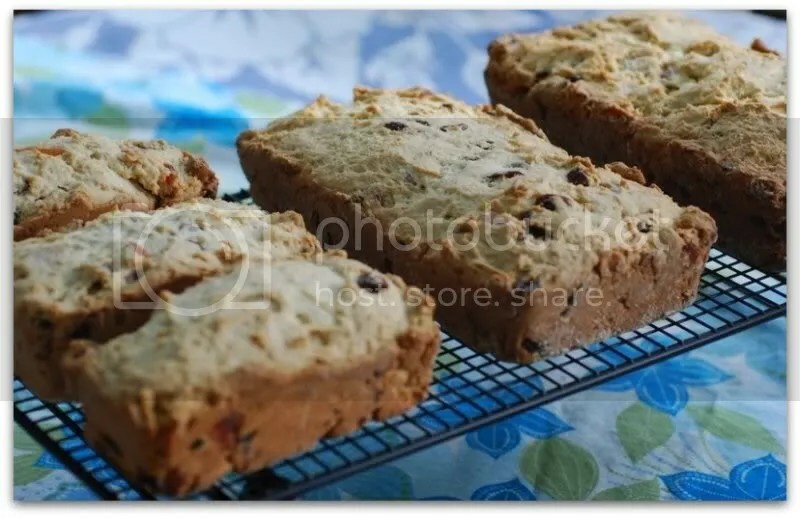 Douse a regular sized loaf with ¼ cup of rum; douse mini loaves with 1-2 tablespoons of rum. 9. Wrap the cake in cheesecloth or muslin. Store in a cool, dark place (I store mine in my refrigerator) and douse weekly with rum for at least one month before sharing. Looks great! I’ve never had fruitcake before, but that would all change if yours was set in front of me! O, I love Christmas/december/the holiday season too. We obviously don’t celebrate Thanksgiving, but we have a very nice holiday of our own (‘Sinterklaas’, kind of the Dutch Santa) which I absolutely love. 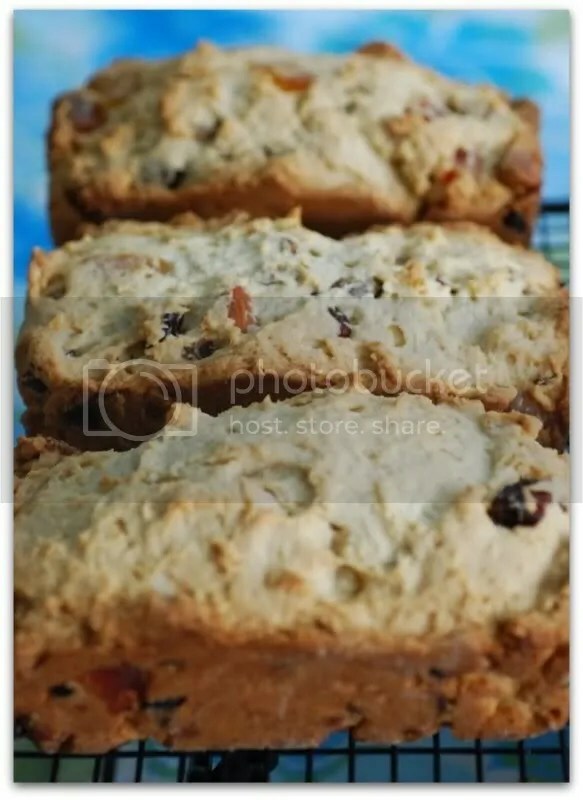 The tropical fruitcake looks delicious. My parents will love it (there is rum in it, after all…), so maybe I’ll give it a try for Christmas this year. Let’s see if I have some time to shop and bake this week! I love love love christmas cake or fruit cake or whatever it’s called! I like your version – no neon green candied cherries (though they are a little fun, too!). I really want to try this – I’ll let you know if I do! Although I’m generally horrified by fruitcake, this sounds like one that’s not only edible, but probably even tasty! Enjoyed the post as much as the appetising pictures. I love your version of fruitcake!